Kismet is an 802.11 layer2 wireless network detector, sniffer, and intrusion detection system. Kismet will not work with all wireless cards, more information can be found here. Depending on the area you are running kismet, you may find zero networks or hundreds. As more people set up networks, especially in their business areas, it is absolutely necessary to ensure strong encryption is used. It is always a good idea to go warwalking in your area to see which networks are running in your environment. Kismet outputs 6 log files in the following formats: .xml, .csv, .dump, .network, .weak, and .cisco. Most of the output files are hard to interpret and give a lot of unneeded information for a basic warwalk. I wrote a python script to parse through the .csv log file and generate an .html report. The script ignores all networks with strong encryption or networks with no ssid. The report includes all networks that have WEP or no encryption, with identifying information about each one. This report is only for seeing which found networks are vulnerable. Feel free to give this python script a try. The only thing needed is a .csv Kismet log file. Changes to the code can be easily made to change what information is included in the report.
""" HTML OUTPUT FILE CODE STARTS HERE BETWEEN THE  TAGS   """
After running Kismet and receiving the output files, let's take a look at the .csv log file which contains all of the information found. In total there are 38 attributes that Kismet records when finding a single network. Feel free to comment, question or criticize. Input is always welcome, thanks! 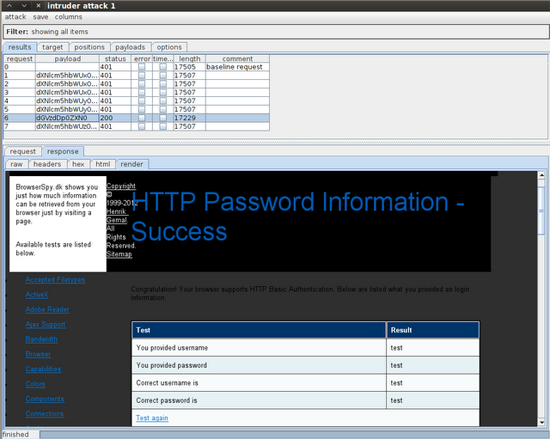 Burp is a platform for testing the security of web applications. 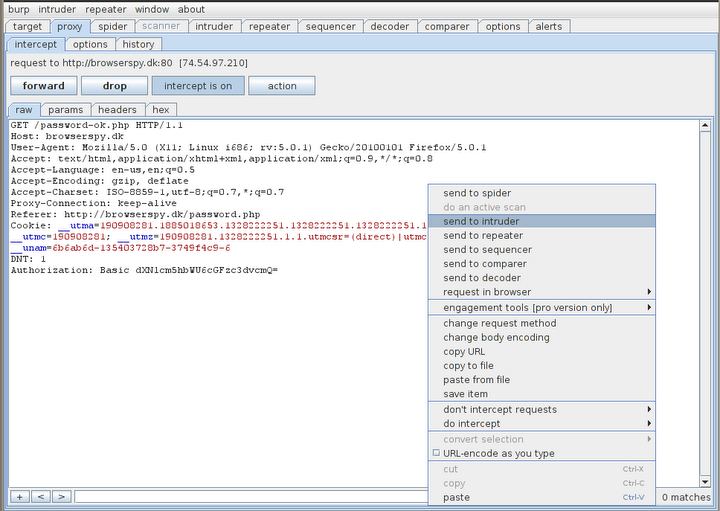 Among other things, Burp has the capabilities of an intercepting proxy, vulnerability scanner, and attack tool. 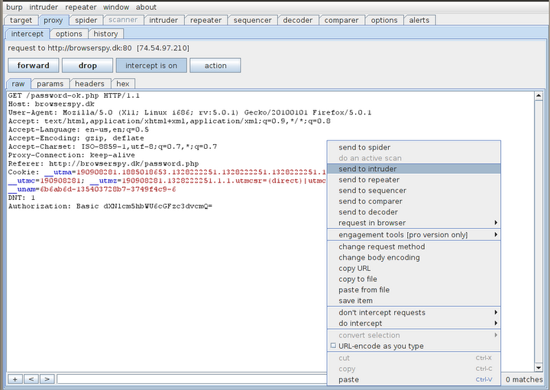 Burp's attack tool is called Intruder. Update: Burp now has the ability to base64 encode two payload lists in a username:password combination by using the custom iterator. More information can be found on this blog. Because Burp is not a dedicated password cracking tool, some work does need to be done before attacking basic authentication. You may be asking, why use Burp at all? Why not use THC-Hydra or John the Ripper? These are both great options, but Burp Intruder has great functionality with multiple options, an expansive user interface, and also allows you to view each request and response. By seeing each response you are able to quickly figure out if there is any enumeration possible and also separate which credentials actually worked. One of the most effective ways to attack basic authentication is by using a dictionary wordlist of common usernames and passwords. If you have a small set of usernames or even just one, this attack is much quicker than if you have to guess both the username and password. 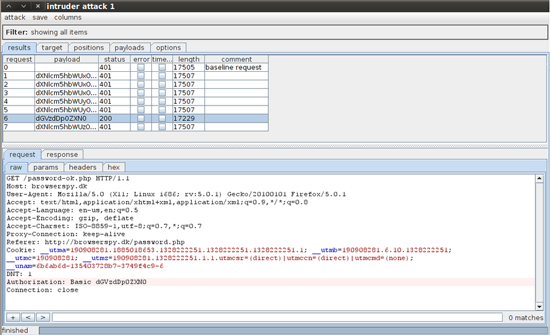 Precompile a username:password wordlist offline. this can either be base64 encoded or not. Burp has the ability to encode a single payload so you can just add a processing rule to the string before Burp sends the request. Write an extension using Burp Extender to Base64 encode the Auth header. In this scenario you just need to have Burp create the username:password combinations and the extension will do the encoding. I may do a specific post about this later. In this post I will be focusing on #1, precompiling a username:password list offline and putting that into Burp Intruder. I created a python script to take a separate username and password wordlist and combine them into the username:password format for Basic Auth. 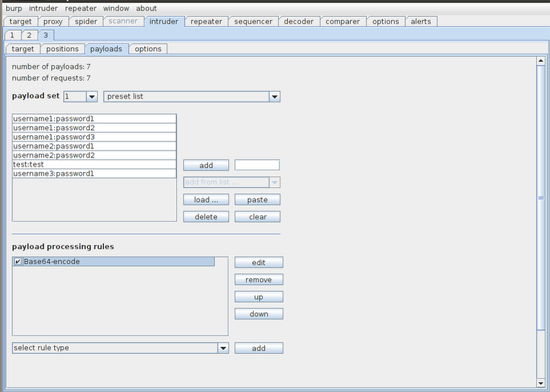 There are also other useful options for creating wordlists. username:password combinations are created. This is best used with smaller wordlists that contain words that are used for both usernames and passwords. The output file will be good to test for any weak accounts behind basic authentication. usernames and passwords. Depending on the wordlists used, this may create a very large text file. have a list of usernames and passwords that may or may not be correct. #Show menu options to user. Checks for bad input. #Get input file name from user and check if it exists. #Get output file name from user. Create output file if it doesn't exist. #Calculate number of combinations and estimate total size of the output file using 20bytes per line. #Show output information. User may want to limit running time, file size gives a basis to do this. So now that we have a username:password wordlist it's time to fire up Burp and put it to use. After making sure that intercept is on, go to the site where the Basic Auth is located. Right click anywhere in the request and select 'send to intruder'. At this point you can either drop or forward the request since we already got what we wanted. 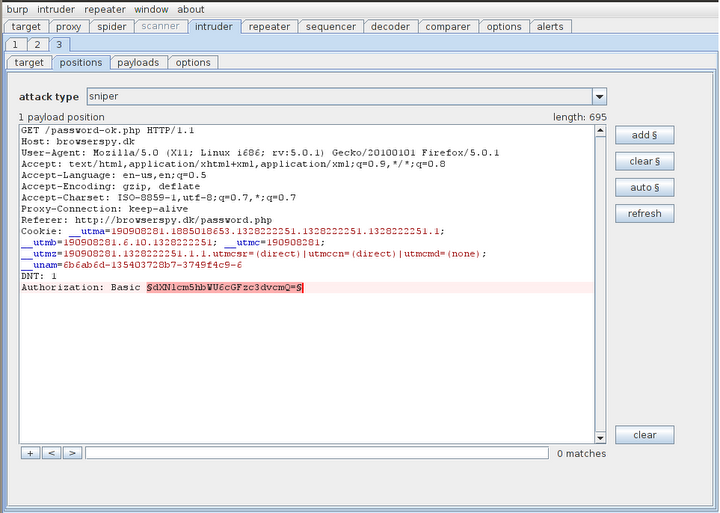 Go to intruder and under the positions tab put two payload markers around the Base64 encoded string. Now go to the payloads tab and load our preset wordlist we created earlier. 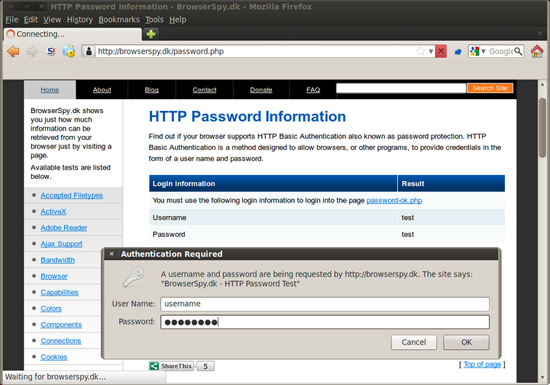 We still need to Base64 encode the username:password string, so add a payload processing rule to do this. Almost done! Along the top go to 'intruder' to start the attack. Burp Intruder gives us a nice interface for each attack. We can now view each request and response which includes payload, status, and length. This makes it extremely easy for us to see which payloads work and which don't. We can also look at the status and length to see which pages differ and why. These methods for attacking authentication can be slightly modified and used to attack other types of authentication.